To add a variable product, either edit an existing product or create a new one. Select the Add Product button or edit an existing product. 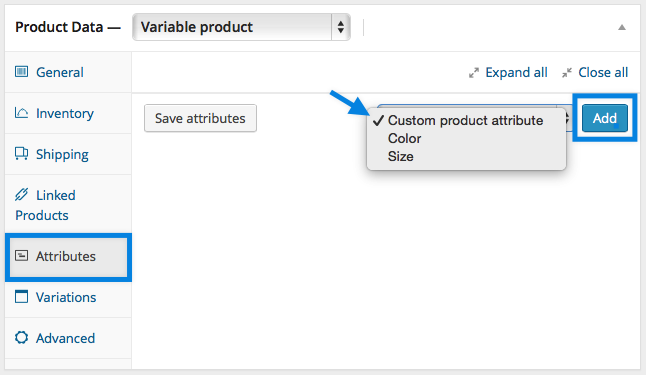 Once in a product, select Variable product from the Product Data dropdown. 4. 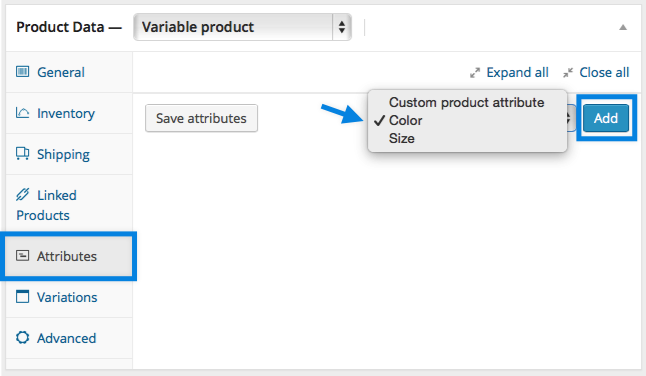 In the Attributes section, add attributes before creating variations — use global attributes or define custom ones specific to each product. 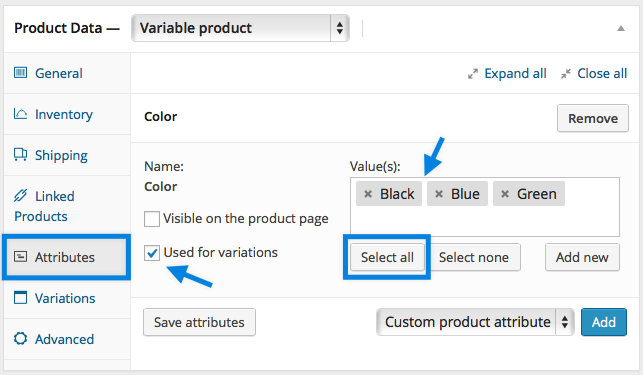 If adding new attributes, select Custom product attribute then Add. 5. Name the attribute, e.g., Size. 6. Set values separated by a vertical pipe, e.g., small | medium | large. 7. Select the Used for variations checkbox to use in the Variations section.